For the third time this year, Kol Martens – Dharma Bodhi, comes back to Source Creations with a 12-days program. From the 17th – the 28th of November 2017 he will give lectures, workshops, teachings and individual sessions in Center Source Creations in Rotterdam. 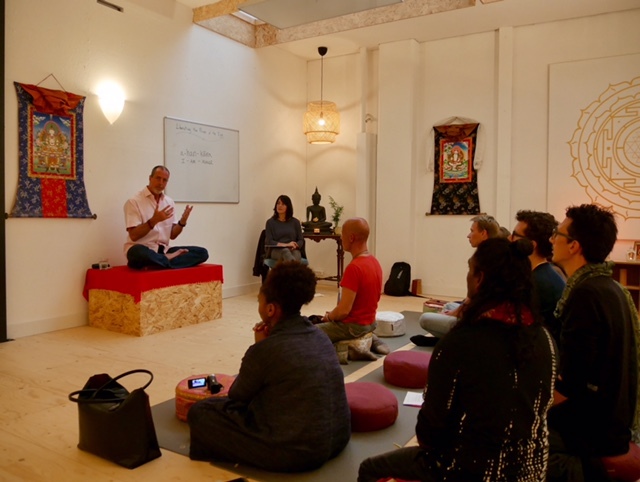 Dharma Bodhi is a practitioner and teacher of Indian and Tibetan Tantrik Yoga and Meditation systems (Non-Dual Shaivism & Bonpo Dzogchen), having studied with some of the greatest masters of our time. Dharma has been a practitioner of meditation for 40+ years. He is dedicated to preserving these ancient traditions while making them available and user friendly for modern practitioners. He lives in Thailand with his family and travels extensively to share these profound life-changing teachings and practices.